My experience comes from working with large International projects in companies such as SCB, Zurich, MISYS, and Bank of England, as well as professionals and leaders at all levels. 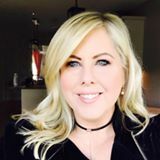 Find out how your next project could benefit from an award winning consultant with 3 decades of experience by emailing me at fidelma@fidelmagreene.com and we’ll explore your needs, challenges, or frustrations with your current situation and discuss the solutions. I’m a mother of 3 including twin girls and I love art, music and the natural beauty of Ireland. I started my own coaching and consulting business in 2003 after transitioning from a successful IT career. I’m passionate about empowering women to become the leaders of their own business and life. “I’ve worked with Fidelma in 2015 where she provided strategic advise on my career and assisted me with Management Development. I throughly enjoyed her training and can honestly say that her practical advise has helped me look at managerial processes in a more strategic way. 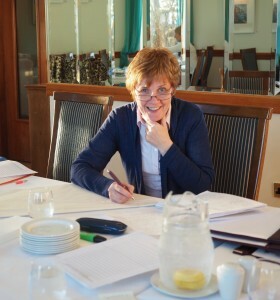 I would recommend Fidelma for to any business looking to develop their employees”. “I can only say that I found the key to unleash my excitement that day at your Beyond Boundaries workshop. What followed could only be described as a miracle as I visualised the birth of my project with the previous obstacles obliterated. The miracles continued to happen during the weeks after the workshop as the universe opened up to my new rhythms and fear free actions, seeming to pave the way and help me with every facet. The peace in my life is palpable and ‘work’ is fun. Thank you Fidelma for showing me the way!”. I have just finished a workshop, empowering women with Fidelma. You must come on it, it’s been fantastic! I have been in business a good while now and I never had to think this way. It makes you feel there is nothing you can’t achieve. “Delighted I attended the workshop, empowering women with Fidelma. For 30 years I worked for a boss but in 2014 I started my own business which was very scary stuff. 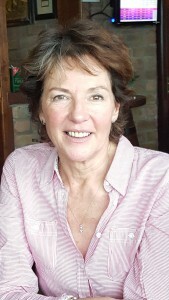 I had no confidence in myself at all but with Fidelma’s help I was able to see my potential. This workshop helped me look out for myself, and Fidelma encouraged me to set goals and to set out a clear vision as working for myself and from home was very challenging. With Fidelma’s guidance it has lead to a better work/family lifestyle. I am now putting this all into practice, and I am getting more confident month by month, thank you so much Fidelma”. “I had been thinking about what I needed to do, what action steps I needed to take.for a long time and the session gave me clarity, structure, and made me think about things that I hadn’t thought about before. The session gave me great value and I would love to work with Fidelma again. If you feel stuck with something, I highly recommend Fidelma to help you gain clarity and move forward. 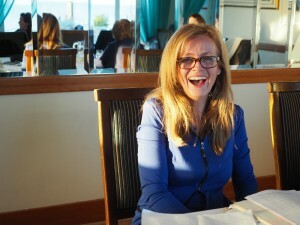 I now feel like I’m ready to take a huge step forward in my mission and path…thank you Fidelma!”.